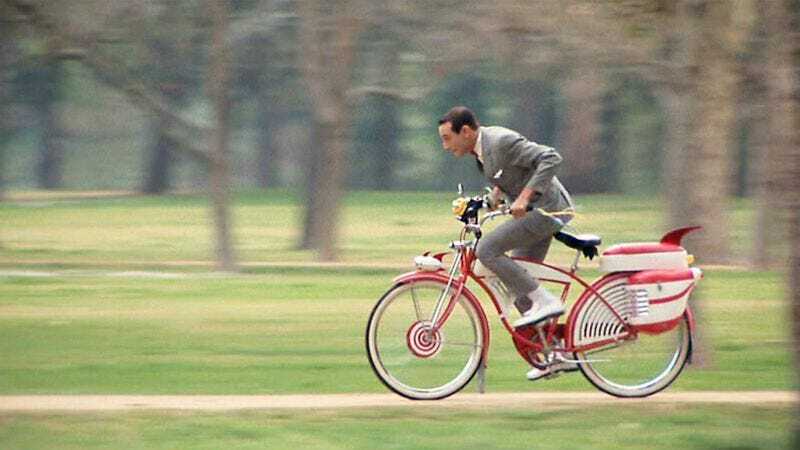 One of the bikes used in 1985’s Pee-wee’s Big Adventure is up for sale on eBay. It’s currently going for about $9,000, but according to the film, its estimated value is a hundred million, trillion, billion dollars. The current owner said he bought the iconic red beach cruiser for $10,000 in 2010 and hopes to get about $15,000 from this sale—though he admits that the bike is “in pieces now.” (In pieces! The horror!) Still, he says all the parts are there, including the roaring lion and handlebar streamers, and he’ll even throw in an autographed photo of Pee-wee to sweeten the deal. So, just listen to reason.